Shawn Hamilton (MacIntosh) was born in Halifax, Nova Scotia in 1961. Moving to Ontario in 1973 growing up primarily in Prince Edward County, Shawn attended The University of Toronto where she obtained a Bachelor of Science degree majoring in Computer Science. 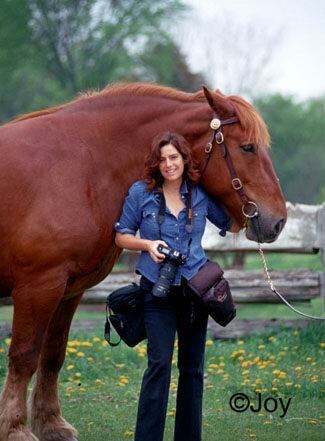 After a career in data base management in the advertising industry her passion for horses and photography grew increasingly stronger and in 1984 CLiX Photography was created. In 1986 Shawn’s work appeared on the cover of The Corinthian Horse Sport magazine and The Canadian Horsemen and she has never looked back. After covering five Olympics starting with Barcelona, the last one being Hong Kong, as well as numerous World Equestrian Games and other international events Shawn has geared her focus to Equine Travel. From wine tasting by horse back in South Africa to Crossing the Andes from Chile to Argentina Shawn has published various articles with outstanding images on her Equestrian Excursions. CLiX photography can be found on the covers and inside magazines such as Horse Illustrated, The Trail Rider, Horse Sport, Horse Canada, The Horse, Equus, Practical Horsemen, Dressage Today,and countless more. Shawn has four non fiction children’s books published by Scholastic Canada titled “ Crazy For Horses”, “ Still Crazy For Horses”, “ Crazy For Ponies” and “ Totally Crazy for Horses” ( author Karen Briggs) as well as the 2004 & 2005 Hallmark horse calendars. After a three year stint in Cuba Shawn now resides on a small farm in Campbellcroft, Ontario with her husband Joe, three horses and a large Bernese Mountian dog. 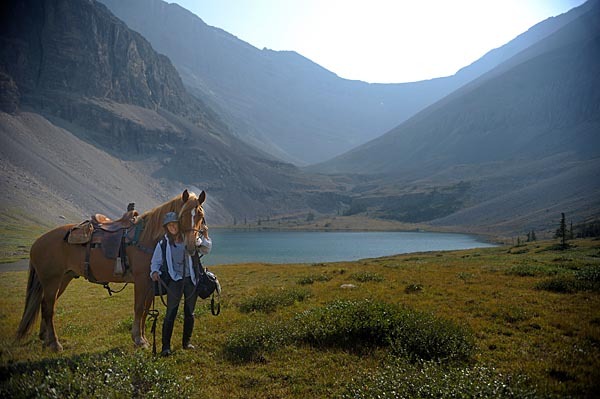 Shawn enjoys trail riding and eventing and is a level 2 ski instructor at Brimacombe ski hill. In the midst of running CLiX, raising four children and caring for three horses Shawn still manages to find time for other hobbies such as riding, guitar, skiing, snowboarding and mountain biking.